Ever wished you could walk underground from the east side of Broadway at Herald Square to the west side of 8th Avenue at Penn Station? You used to be able to, up until around 1990, and in a few years, you may be able to once more. 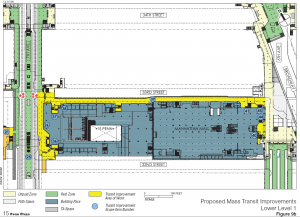 The draft scope of work (PDF) for the 15 Penn Plaza Project states that a restoration of the Gimbels Passageway (aka the Pennsylvania Passageway) is part of the proposed subway improvements. The Gimbels Passageway is a long shuttered, outside of fare control connection that runs under the south sidewalk of West 33rd Street as part of the basement level of the Manhattan Mall (formerly Gimbels department store) and the Hotel Pennsylvania, the latter of which is being redeveloped as the 15 Penn Plaza Project. For most people this will mean an out-of-the-elements route to take for walking between the Herald Square transportation services (the 6th Avenue IND subway lines, the Broadway BMT subway lines, and PATH) and Penn Station (Amtrak, New Jersey Transit, and the Long Island Rail Road). I don’t know if it will be faster than going outside and walking along 33rd St, but those 33rd St sidewalks get awfully crowded in rush hour. So whether it’s the rain or the crowds that bugs you, the Gimbels Passageway is hopefully coming back to save the day. The Proposed Project would relocate and significantly upgrade the existing subway entrances on West 32nd and West 33rd Streets and would undertake significant subway improvements, including the re-opening and refurbishing of the passageway under the south side of 33rd Street. 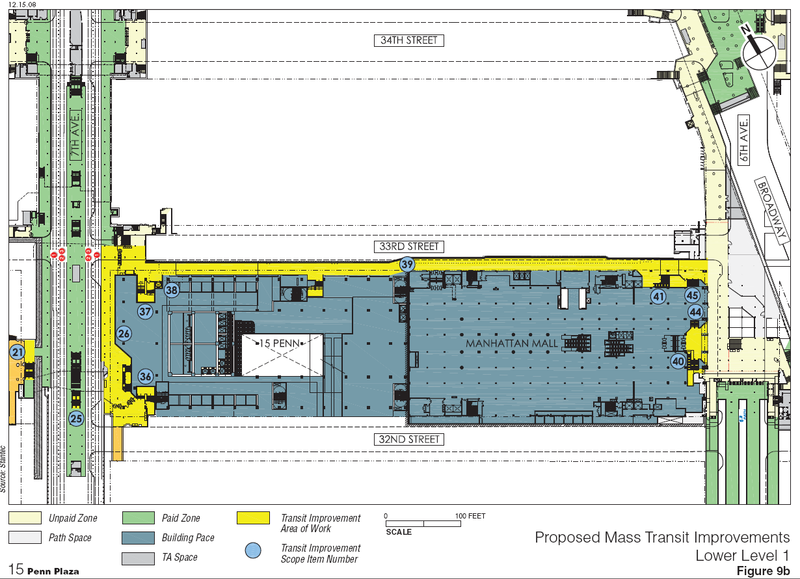 The refurbished passageway would be widened to accommodate pedestrian flows between Penn Station/the Seventh Avenue subway lines (1, 2, and 3) and the Sixth Avenue subway lines (B, D, F, N, Q, R, V, and W) and the PATH station, improving pedestrian circulation on the street-level sidewalks. The passageway would provide an alternative to pedestrians traveling along the 33rd Street corridor. I’ve drawn a diagram (see below) showing the longest, outside of fare control, underground walking trip that will be able to be made once the passageway reopens. 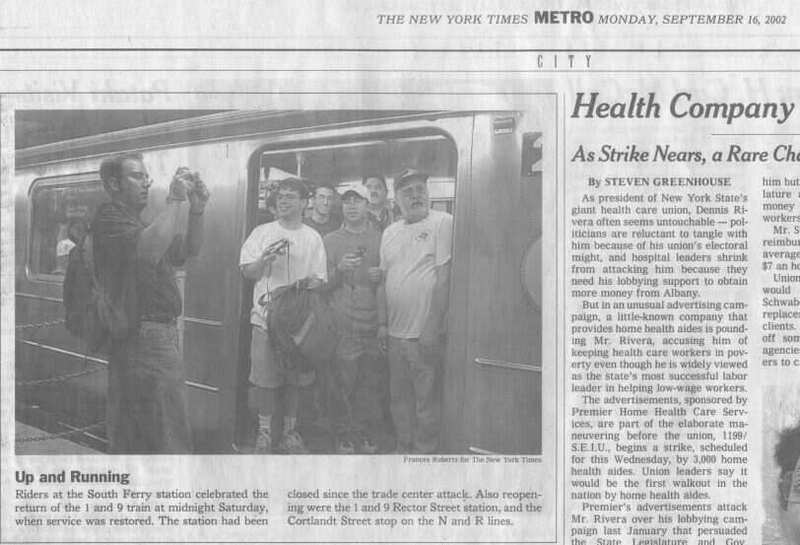 One will be able to head underground at the BMT subway entrance at the NE corner of 32nd Street and Broadway and not come back above ground until reaching the IND subway stairs on the west side of 8th Avenue at 33rd Street. 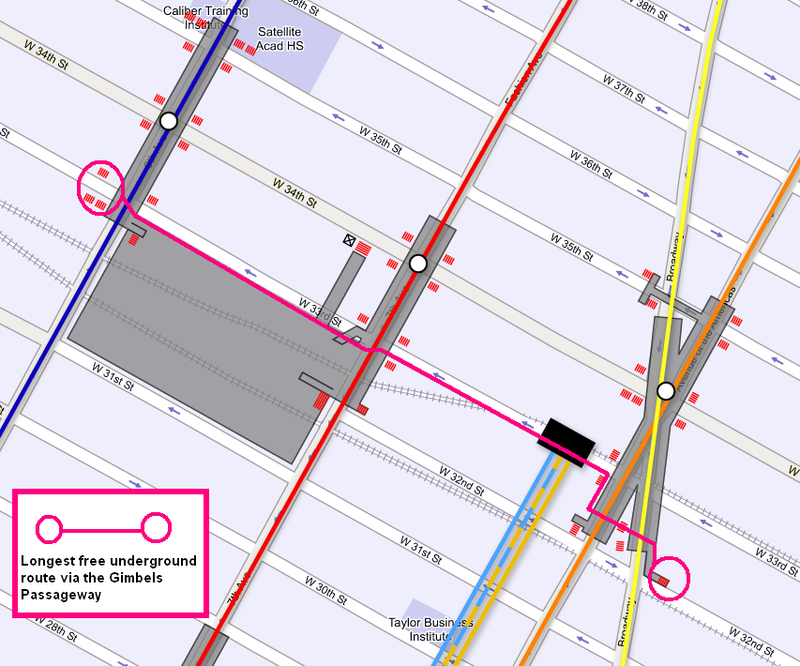 Of course, there are many other access points along this underground route that will allow you to reach the surface, including at least one new one to be opened midblock along 33rd St between 6th Avenue and 7th Avenue. Anyhow, the fact that this is in the draft scope is a very good sign. If the project moves forward, the Gimbels Passageway has a good chance of finally reopening. Update: Stewdio has posted images and a video of what the interior of the reopened Gimbels Passageway may look like.